The following is a copy of an email sent to the FHIR list by Peter Bernhardt (and copied with permission). I’ve not read through it in detail, but it’s something that I’m grappling with myself as I prepare for the SMART track in the up-coming Connectathon. I suspect that it’s something that a lot of folk are going to have ‘fun’ with, so I suggested to Peter that we copy it here so it can be found later! We’ve talked about OAuth in a few posts now, so I thought it might be a good idea to try some of this out for real. (My other motivation is that we’re adding OAuth to Blaze, so I promised Richard I’d have a client for when he’s ready for testing). I decided to start with a simple web based client and see how far I got. A pretty basic web application, which serves up HTML pages to the browser, and communicates separately via HTTPS (of course!) to the OAuth servers. Because it’s a ‘secure’ application (the code runs on the server and not in the users browser) it can use the ‘authorization code’ flow (or grant). For my library I chose to use the node module ‘simple-outh2’ which exposes simple methods to make the required OAuth calls. The first experiment is against Google. Google uses OAuth2 to authorize access to its services – in effect Google hosts both Authorization and Resource servers in the OAuth2 model, so should be quite straight forward. First step is to establish credentials that the client can use to Authenticate against the Authorization Server (ie the client ID and client secret), which I got from the Developer website. The flow starts by calling the /auth endpoint – line 21 above – (I had a simple <a> tag in the front page). This initialises the OAuth2 object with the required credentials – and the location of the Authorization and Token endpoints, and then re-directs to Authorization Server with the required parameters (like scope, state and others). You can find the details on the Google site. Google then serves up a login page showing what scope you are after (eg accessing google drive and tasks) and the user logs in and authenticates the request. (If you’re logged in to google services separately it remembers who you are – which can be a bit disconcerting at first). Assuming all goes well, then the browser will eventually be redirected back to the local callback endpoint (http://localhost:3001/callback – line 34 in the example above) which extracts the Authorization code from the reply and requests an Authorization Token from Google. Once that’s done we save the token (actually the whole response from the Token request) and serve up another HTML page. Now, the user can access the Google resources – an example is the /task endpoint (line 67) which will get the task lists for the current user. Oh, and if you look at the response that comes back from the server when you get a Authorization Token, you’ll see an id_token as well. Because we put ‘openid’ in the scope property, Google will also implement OpenId Connect and return Identity data as well. So, as you can see, the library abstracts much of the complexity of OAuth away – and I presume that the libraries in other languages act in a similar fashion. But – this is a rather simple flow where both Authorization and Resource servers are served up by the same app – which can then do all sorts of clever things on the back end. What happens when they are on different servers? 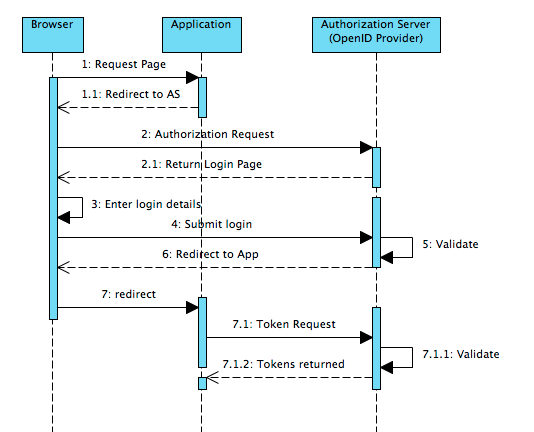 In our previous discussions on OAuth2 and OpenID Connect, we’ve talked about how the Authorization Server can authenticate a user, and provide an ‘Access Token’ that a Resource Server (e.g. a FHIR server) can use as a basis of deciding what information it can supply and what services it will allow. (As an aside, a reminder that the FHIR spec does talk about how this could be implemented – and also points out the IHE IUA profile (formal spec) as work in this area that is worth following). To provide a backdrop for our discussion lets provide a picture of a simple ecosystem – i.e. where there are multiple separate servers performing the various roles. The difference being that the affinity domain has a single Registry – in our case we have a single Authorization Server. It isn’t always going to work out this way, but it’s a good starting point. (btw this picture comes from a presentation I’m giving to our National Standards Organization this week to show how these standards could work together in New Zealand). An Authorization Server backed up by some databases for identifying patients and providers (This is so that the Authorization Server can also serve up Identity (Patient and Provider) – as we talked about last time. It’s not significant in the context of this discussion). A FHIR Profile and ValueSet registry. This is a FHIR based ecosystem, and we’re bound to want to define profiles, ValueSets and extensions. Of course, we will very likely use other registries as well, especially for the HL7 defined extensions, but one of our own is likely to be required. A Record Locator Service. This is serving the role of an XDS Registry and holds DocumentReference resources that can be queried as we’ve previously discussed. A couple of Resource Servers, one directly holding resources and the other ‘proxying’ to an existing Medical Records system. The question is simple. When one of the Resource Servers gets an Access Token, how does it know it’s valid and how does it know what scope of disclosure the User (Resource Owner) has agreed to? When the Authorization Server and the Resource Server are the same application, this is straight forward – in the process of issuing the Access Token, the Authorization Server can save the details in a local cache which it can reference when the Resource Server receives it in a request. But when the Token needs to be used by multiple different servers it becomes a lot harder. A couple of options come to mind (and I’m sure there are others of course). The Access Token could actually be a more complex structure than a simple Bearer Token – for example it could be a JWT (JSON Web Token) that contains the expiry time and the scope and signed by the Authorization Server. This would require that the Resource Servers have the Authorization Server’s public key – but as there are unlikely to be that many Resource Servers, this probably isn’t a big problem. Which to choose (or some other)? Well, that will be up to the implementation (or the agreements in the “Affinity Domain”). In either case, the bulk of the complexity is with the server rather than the client – which is where we want it to be. 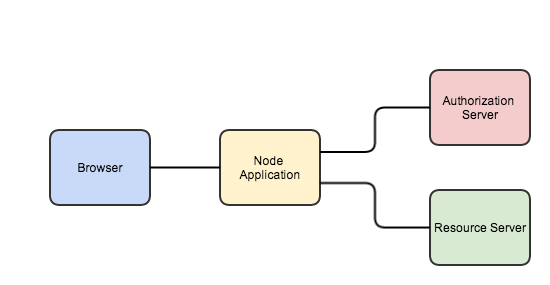 (In the diagram above, the dotted lines represent this relationship – whether a direct query or indirect via the key). We’ve glossed over this a bit in previous discussions. The value of the scope parameter is expressed as a list of space-delimited, case-sensitive strings. The strings are defined by the authorization server. If the value contains multiple space-delimited strings, their order does not matter, and each string adds an additional access range to the requested scope. So, we need to decide what is the level of access granularity that we want to support, how we’re going to represent that and then make sure that all participants in our ecosystem support them. No small task as there is no agreed standard for this. But you can see that this is going to provide some thought. (Incidentally, there are a number of people looking into this – if you’re interested then drop me a line). It should also be apparent why having a single Authorization Server does simplify things. In principle there is no reason why you can’t have more than one – but preferably they will all need to support the specific implementation requirements – such as the type of Access Token and the codes used for scope. There are doubtless ways of accommodating ones that can’t, but it does add complexity – and therefore risk – to the overall solution. I have to say I kind of like the analogy with these questions and the IHE Affinity Domain concept. Although there will likely be some standardization in the future, there are always going to be differences in specific implementations, so this concept is a nice way of wrapping all the specific details up for a specific implementation (or, in the case of New Zealand – maybe the country!). For the application to ‘remember’ that who the user was, it needs to store the Refresh Token, as this will be used by the Authorization Server to issue a new Access Token (actually, so does the web client of course). 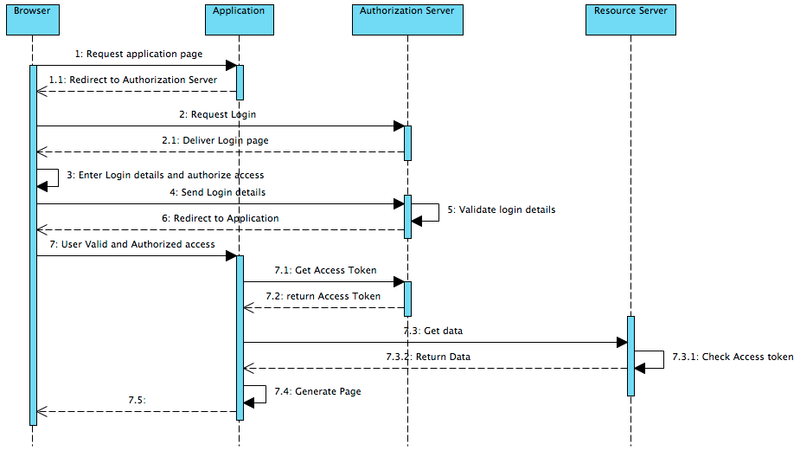 The process flow in OAuth2 is dependant on the use of HTTPS. It describes login screens and browser redirects for example. Lets think about storing that Refresh Token. In theory, (at least in OAuth2 speak), these applications are not capable of holding the Refresh Token securely. That is because the token will be stored on an end-user device (the Mobile or Desktop) and so could be stolen by a determined attacker. So, again in theory, the application can’t store the Refresh Token – it must authenticate with the Authorization Server each time the user wants to use it, and the session can only be as long as the lifetime of the Access Token (typically an hour). OAuth2 actually describes a specific workflow for this – the Implicit workflow, where the Authorization Server directly returns an Access Token after the user authenticates, but does not return a Refresh Token. It is specifically intended for ‘public’ scenarios where the user doesn’t want their credentials remembered long term (Like using the ‘Incognito’ browser window if you’re in an Internet Cafe). You must do that as securely as possible (maybe you encrypt in some way). You must deal with the possibility that the app could be used by multiple users – for example to associate it with the currently logged in user. You must provide an easy mechanism for the user to be able to revoke the access token. The spec doesn’t detail how this is to be done, but one possibility would be for the Authorization Server to have a ‘reset’ or ‘lost my mobile’ function. This could be a ‘normal’ web page where the user logs in (using the standard OAuth2 flow), and the Authorization Server then revokes all Refresh Tokens associated with that user. When the user uses their new device they will simply re-authenticate, and the process will continue as usual. With that out of the way, we can now think about how the desktop/mobile application can use OAuth2. 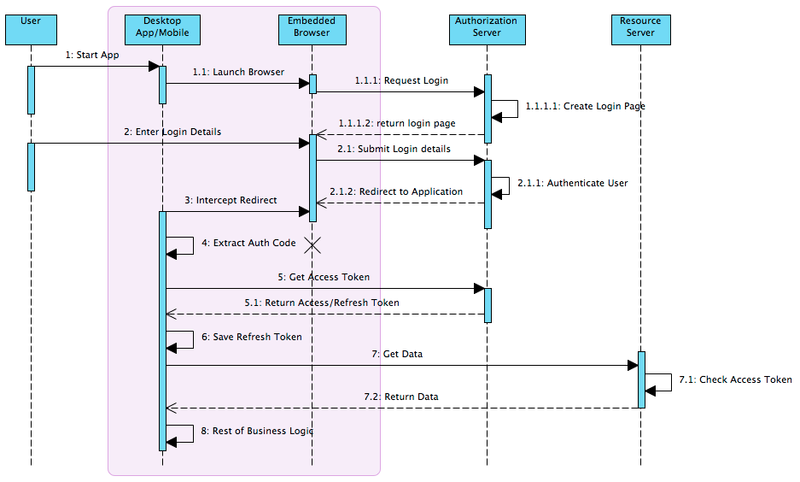 One way is for the application to launch an embedded browser window to interact with the Authorization Server, as described in the following diagram. The User starts the app (presumably logging in in some way). The app launches a browser component which is directed to the ‘request login’ endpoint of the Authorization Server. The Authorization Server generates and returns a login page. The application extracts the authentication code and terminates the browser component. The application makes an HTTPS call to the Authorization Server, passing across the authentication code and gets back an Access Token and a Refresh Token. The application performs any other required business logic. The application makes a request (or an update) on the Resource Server. The Resource Server recognizes that the token has expired and rejects the request. (The spec doesn’t specify the status code to use – but I presume its 401 – Unauthorized). The application retrieves the Refresh Token from its local store and sends that to the Authorization Server, which issues a new Access Token (assuming that the Refresh Token is valid of course). The application re-tries the request to the Resource Server with the new Access Token. 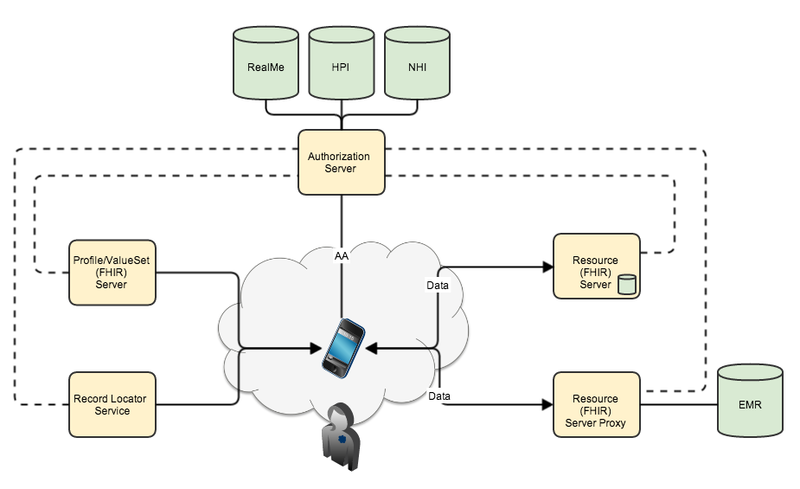 So, we’ve talked about how a Mobile or Desktop Application can implement standard OAuth2 functionality to authenticate themselves and grant access to their data. This is by no means the only way, but one that should be straightforward to implement. And a reminder – don’t to this at home folks – use a library!